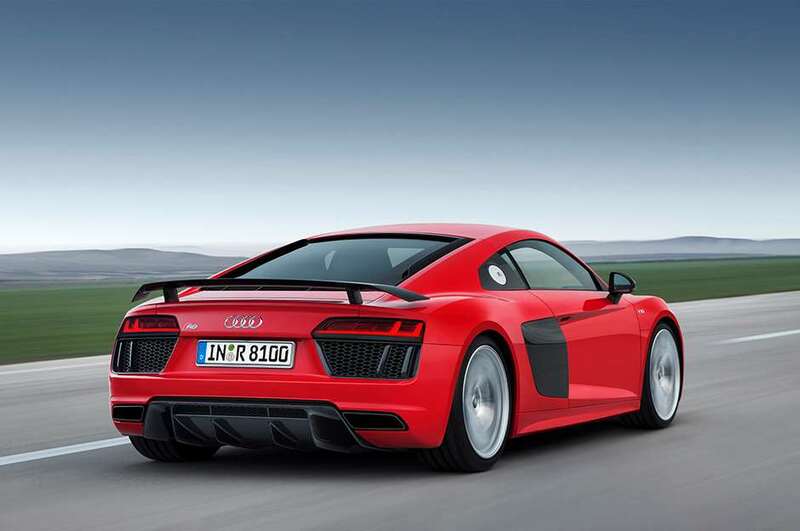 Goodwood - New Audi R8 steps out of the shadows – but will it light up Geneva? 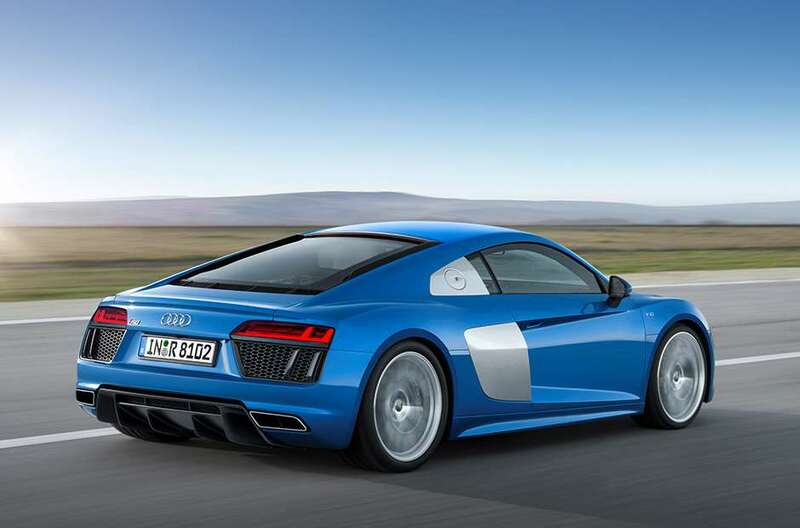 Here’s the new Audi R8, ahead of its public unveiling at the Geneva Motor Show on 3 March. And it looks, well, pretty much like the old Audi R8. The message here is evolution rather than revolution in that typical Vorsprung way. Since its launch in 2007, Audi’s take on the mid-engined supercar has struck a big chord with buyers so you can understand the reluctance to fiddle for fiddling’s sake. Besides, such familiarity allows the rest of the us to play spot the differences. In actual fact from the front and back at least you will be able to tell old and new apart at a glance, especially at night with the new LED light signature. One word of warning: it is not recommended that you peer for too long at the front of a new R8 at night when the laser high beams (wavelength: 450 nanometers, colour temperature: 5500 Kelvin, if they mean anything to you) are blazing away. On the inside it’s more changed – check out the new digital dash, based on the brilliant set-up in the TT coupé – while under the bonnet there’s ‘only’ a V10. No V8 any more. Standard is a seven-speed S Tronic transmission while the quattro system has been revised. So no more manual box either. Look on the bright side, though – no turbocharger! Plus, we are promised sharper handling (and less understeer?) from the new aluminium wishbone suspension. Some of the greasy bits of the new R8 are shared with the Lamborghini Huracan from the same stable. There are two versions: the standard car’s 5.2-litre V10 unleashes 540PS (533bhp) and the Plus takes that to 610PS (602bhp). Three and a half seconds to 62mph for the ‘slow’ one, and 3.2secs for the Plus, and both will do 200mph or more. The V10 revs to 6500rpm (also the torque peak) and sounds better than ever, say insiders. A combination of aluminium and carbon fibre reinforced plastics for the new spaceframe saves 50kg in weight, with the Plus tipping the scales at 1454kg (dry). And it’ll be 10 per cent better than the old car at the pumps! Well, it might be if you drive it slowly when two cylinders shut off. Lift off above 34mph and it coasts to save a bit more fuel. Official average is 23.9mpg with the Plus not far behind. Nice though it is, and more changed underneath than the looks suggest, the danger at Geneva is that it may appear a tad samey alongside so many new performance cars. There’s certainly a good chance it will be overshadowed by one car in particular – the R8 LMS GT3 racer, a rear-drive machine that weighs 1225kg and can call on at least 577bhp. Yes, that’s yet another customer race car designed to meet the new GT3 regs for 2016 making its debut in Geneva. And you thought motor shows were all diesel engines and hatchbacks! 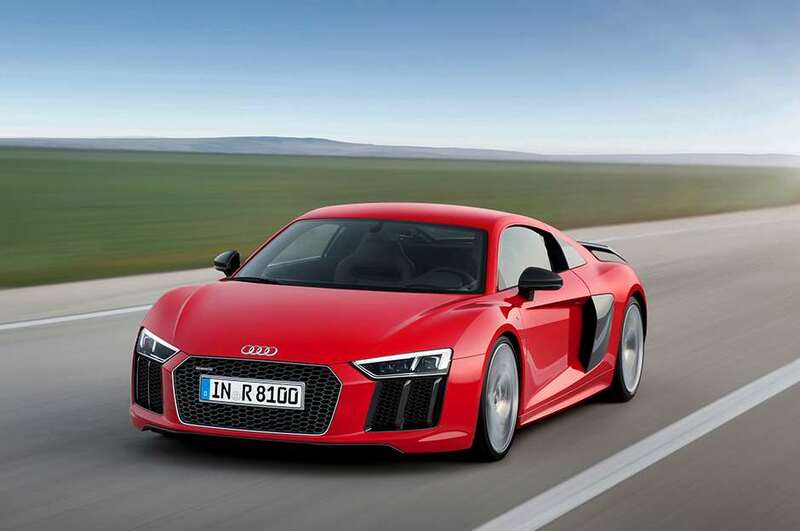 Audi R8 V10 Plus: A little faster, but is it any more fun?